Get to know the "Hands behind Manos", the proudly Pinay women whose spirit, warmth, and care despite their humble beginnings distinguish them in the beauty industry. Manos Nail Lounge is a social enterprise is known for its tropical-inspired "modern Filipino" interiors and use of Filipino products, but what makes Manos truly Filipino is the spirit of the people that make the Manos experience complete. The Ladies of Manos have become known for their warmth, genuine hospitality, and extraordinary care. 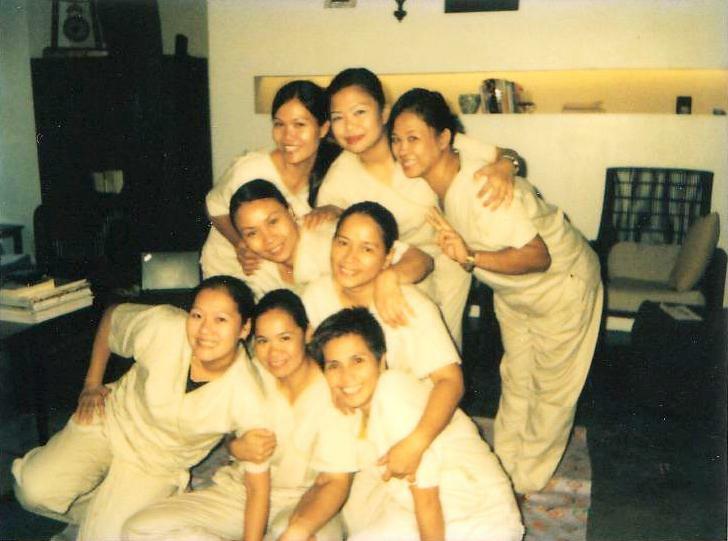 While not all of them started out in the beauty industry (past jobs include: balut vendor, street sweeper, factory worker, and sales person), they all persevered and worked hard towards learning and enhancing their craft. They take pride in their work and are most satisfied when they are able to help clients by making them feel relaxed, pampered, and beautiful. Outside the workplace, the Ladies of Manos remain committed to their roles as mother, daughter, sister, neighbor, and friend. They say that among their greatest joys are being able to provide for their families and working towards a better future for them. And like true heroines, some of the Ladies still find time to volunteer and take leadership roles in their respective communities. Check out more stories of these proudly Pinay women HERE. Got your own proudly Pinay story? Submit them to us at iampinayandproud@gmail.com and get a chance to be featured on www.pinayandproud.com and receive one of our Pinay & Proud tote bags!